The Austin Flea have treats for kids of all ages at various booths. Check out Bolsa Bonita, OldNewMiddle, Sew Kors, Luna Tigre, Flamingo Productions, Vibe Collections and more for your chance to win some special prizes. 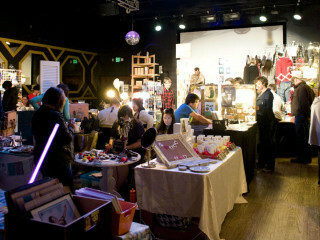 The Flea features all local handmade items and vintage wares from some of Austin's most amazing and talented vendors. Find one-of-a-kind gifts for any occasion including jewelry, bath/body products, vintage, original artwork, paper goods, textiles and so much more.